All residents are invited to the Tewkesbury Lodge Estate Residents’ Association 2015 Annual General Meeting to be held at the Horniman Primary School on Tuesday 1st December 2015, starting at 6:30pm. Join us for our AGM, followed by a Q & A session with our Councillors regarding the proposed Controlled Parking Zone, changes to our refuse/recycling collection and Forest Hill library service. Mulled wine will be served so please do join us to learn more about your local area and get to known other local residents. We look forward to meeting you all on the 1st. Sadly due to circumstances beyond our control the annual TLERA fireworks spectacular has had to be cancelled. 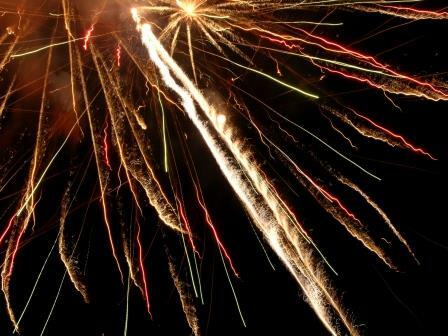 The event was due to be held at the Horniman Primary School as it had been in previous years, but due to over-running building works at the school and disruption to the fireworks site, it is not possible to hold the event there this year. Sadly we’ve been unable to find another suitable venue on the estate that meets the stringent health and safety criteria required to run the event so the TLERA committee have decided to cancel. We do apologise for any disappointment caused. Hopefully things will be back to normal in 2016. The good news is that the Horniman school have kindly allowed us to hold our AGM there on Tuesday December 1st, which will be accompanied with mulled wine. We do hope that as many of you as possible are able to join us then. TLERA members might be interested to read this article published in the South London Press regarding the good progress on the slow but steady progression of implementing 20mph limits in the area.